Drake manages to dethrone himself on the Billboard Hot 100 as his new single Nice for What debuts at No. 1 knocking God's Plan to No. 2. This is his 5th Hot 100 No. 1 following God's Plan, One Dance, featuring WizKid and Kyla, featured on Rihanna's Work and What's My Name?. Dropping to No. 3 we have Bebe Rexha & Florida Georgia Line's Meant To Be. 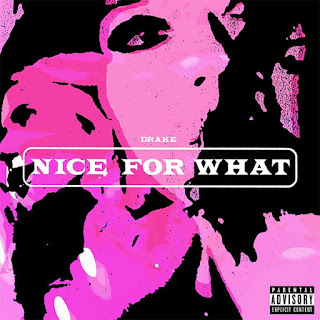 Drake conquista esta semana o single #1 nos EUA com o seu tema Nice For What! O rapper Canadiano derruba o seu próprio tema, God's Plan, para o #2. Este é o 5º #1 para Drake neste tabela seguido de God's Plan, Once Dance, com WizKid e Kyla, e as suas participações nos singles Work e What's My Name? de Rihanna! A descer para o #3 temos Meant To Be de Bebe Rexha e Florida Georgia Line.